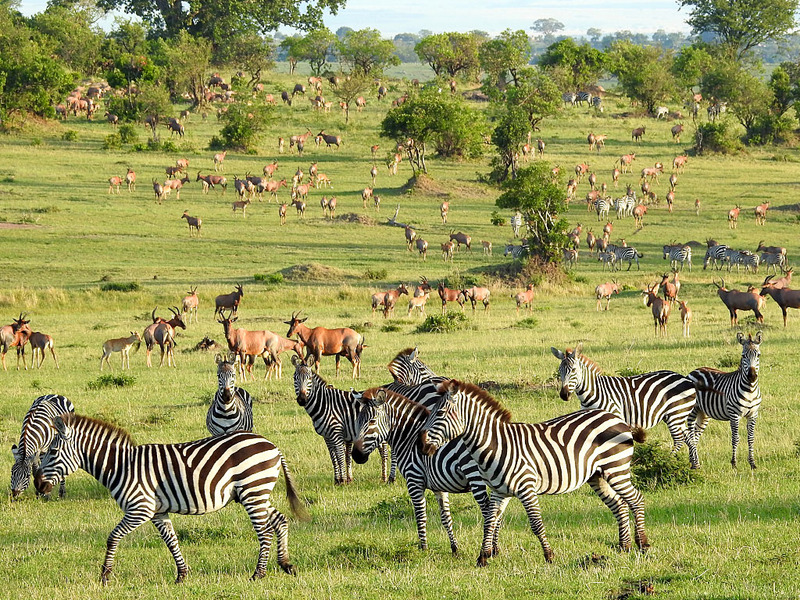 Imagine endless savannas teeming with millions of wildebeest, towering boulders sprawling with tawny lions, and collapsed volcanoes brimming in mist. 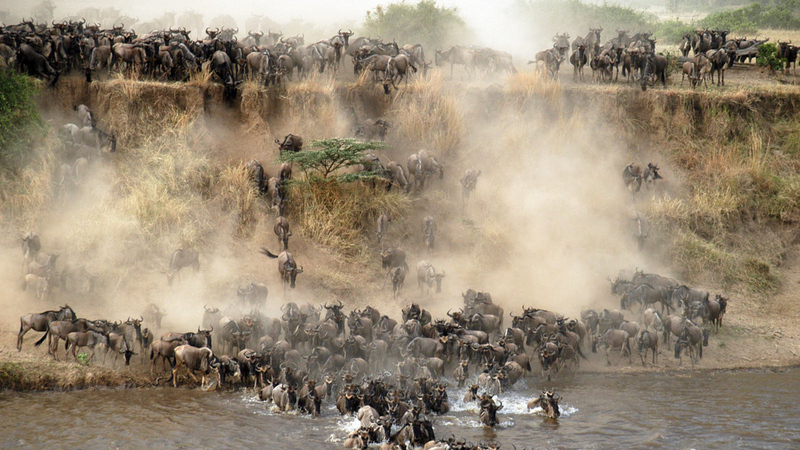 Imagine a place completely unaware of civilization, where wildlife still reigns supreme. It is hard to believe a place like this still exists, but it does. It is called Tanzania. 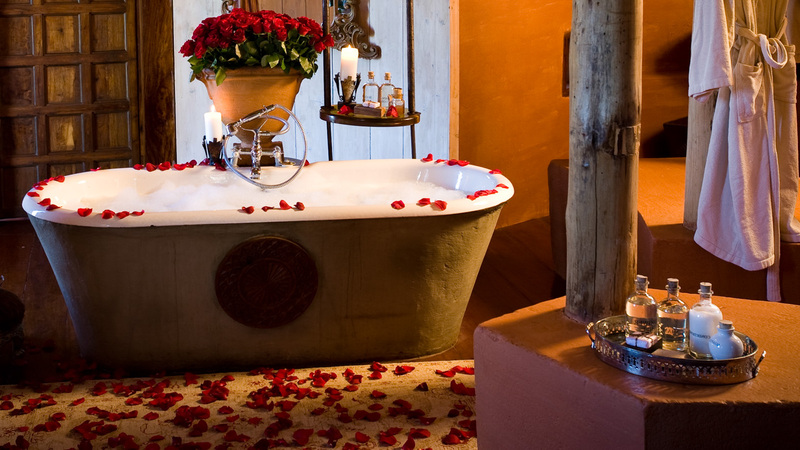 Our guests who are planning a romantic getaway have privacy at their top of their list of expectations. 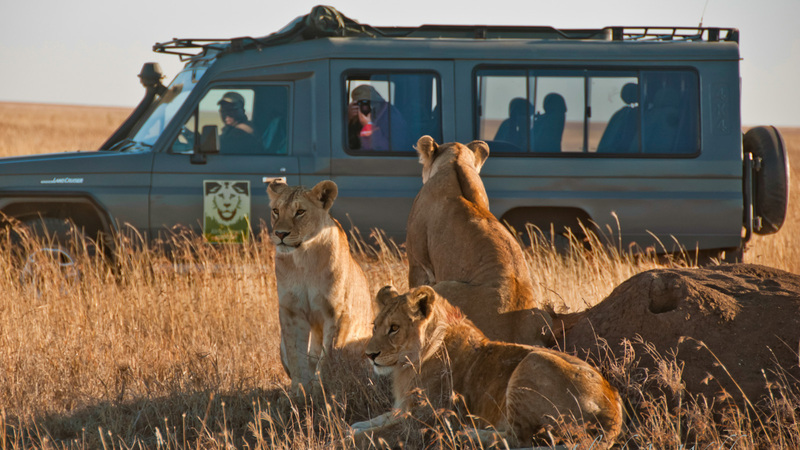 While other safari tour companies organize bustling caravans of minivans, packed with tourists, we offer an alternative: The Private Safari. 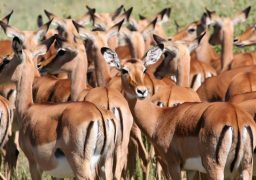 Group safaris and packaged tours are met with unpleasant congestion, generic itineraries, and bickering clients with competing agendas. 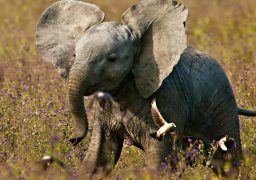 The true value of a Private Safari lies in personalized service, wildlife-focused itineraries, unique trip enhancements and off-the-beaten-path adventures which have quickly became hallmarks of Africa Dream Safaris. We offer VIP Tanzania Visa services, making your arrival to east Africa easy and efficient. You’ll skip the long lines at the airport with the help of our kind and responsive staff who will transport you to your first lodge in record time. Our team is committed to providing you with an unsurpassed level of service. Passion and expertise are what set us apart. Whether your preference is for posh lodges or moderate hotels, we offer a variety of lodging combinations so that you may choose the style that best fits your specific interests and budget. As we work together to design your perfect itinerary, our staff will help guide you to choose appropriate accommodations. 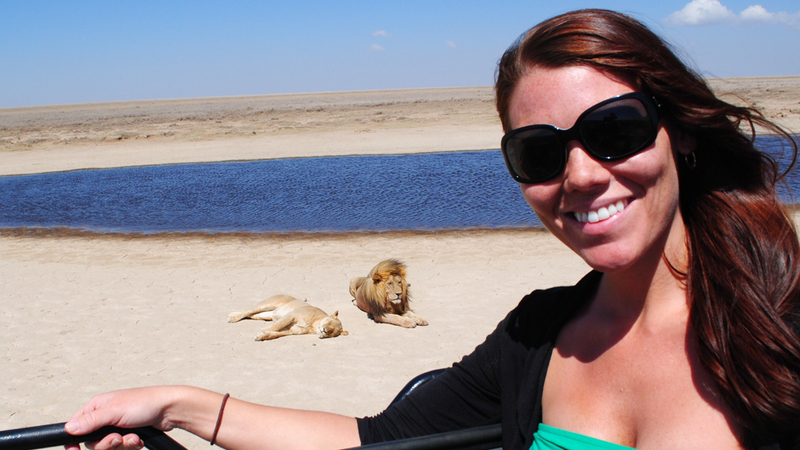 No matter the style of lodging or season of travel, all of our trips are adventurous, educational and safe. Our itineraries are built upon a Fly In & Drive Back basis. 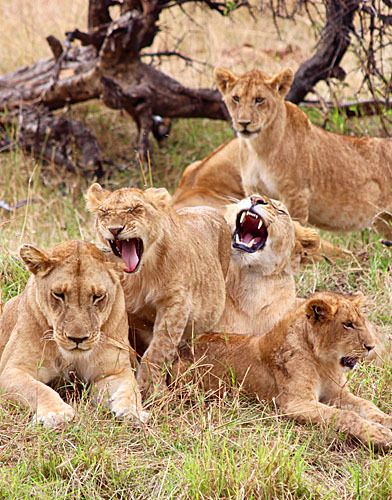 This is the best way to conduct a safari in Tanzania as it maximizes your precious time and eliminates all redundancy. Each day offers something new and exciting, as you never retrace your tracks. 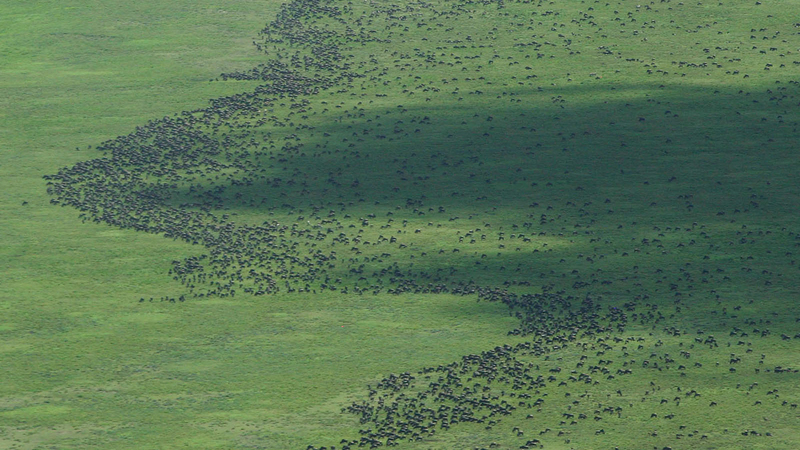 It’s certainly an amazing way to kick off your adventure by first flying over this vast wilderness and then landing onto a small grassy airstrip in the world famous Serengeti! When you land, you’re at once introduced to your private driver guide and he unloads your luggage into your private vehicle. 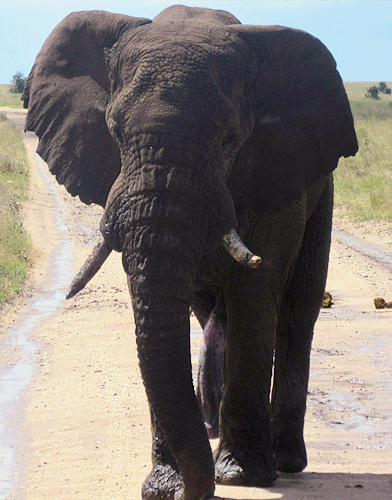 Without further delay you are thrust into the heart of the wilderness on your first action packed game drive. 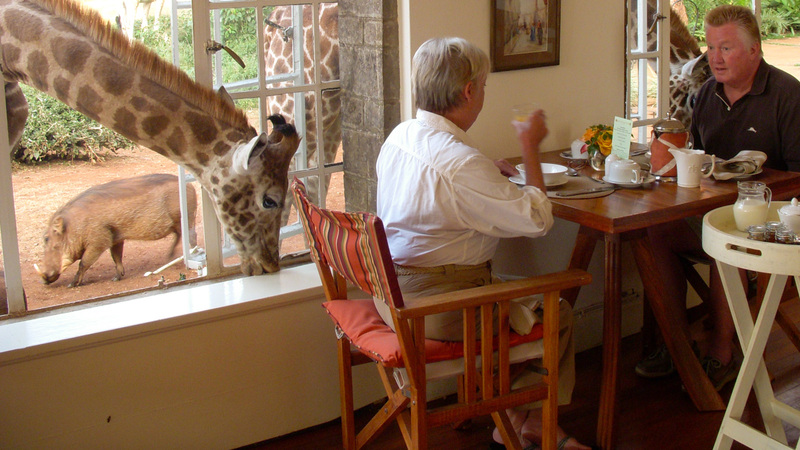 It is likely that you will encounter many different animals, including some of the big cats, before lunch. 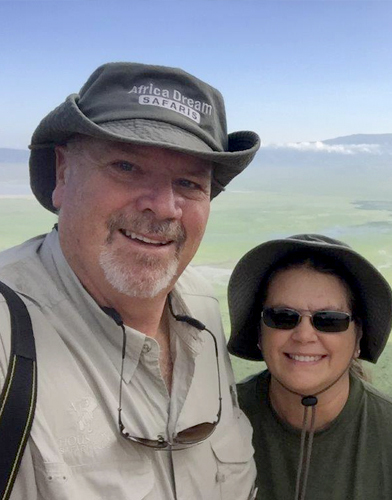 Flying into the Serengeti forms a wonderful introduction to the spectacular parks of Tanzania, and is an extremely comfortable way to jump start your adventures. 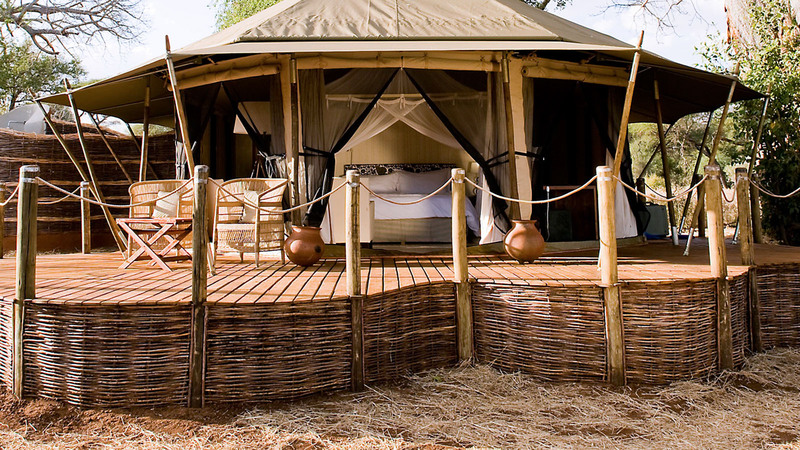 Additionally, transit time is greatly reduced giving you more quality time ‘in the bush’ for wildlife viewing, relaxing and other enjoyable activities that you wish to incorporate into your itinerary. Once your private adventure for two begins, you can set the pace as you go. 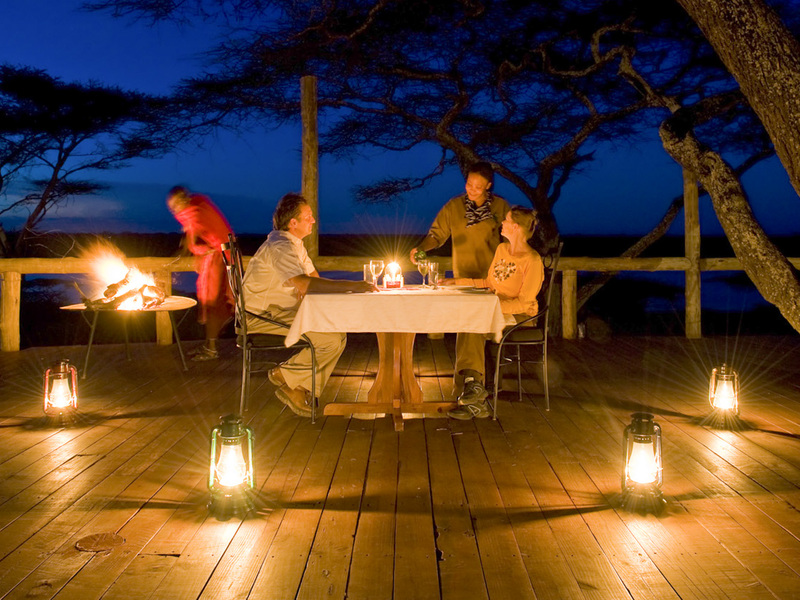 Some guests are eager to start their day before sunrise to get the most out of that day’s game viewing possibilities. 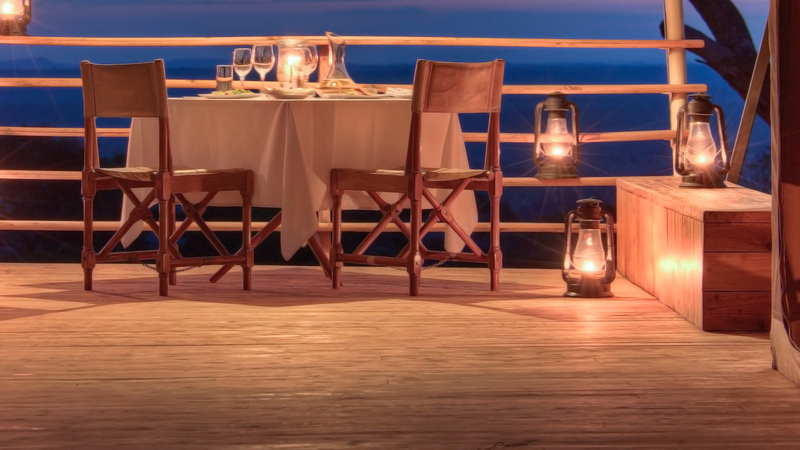 Others opt for a more slow paced relaxed itinerary, taking advantage of sunsets overlooking the Serengeti plains and romantic outdoor dinners cooked over an open fire. While at supper, out staff prepares your accommodations with full turn down service. For private camping options, this means closing up the tent, turning down the bed, filling the shower with water and placing hot water bottles in the bed. Throughout the night, you can look forward to the sound of wildlife just outside of your tent. 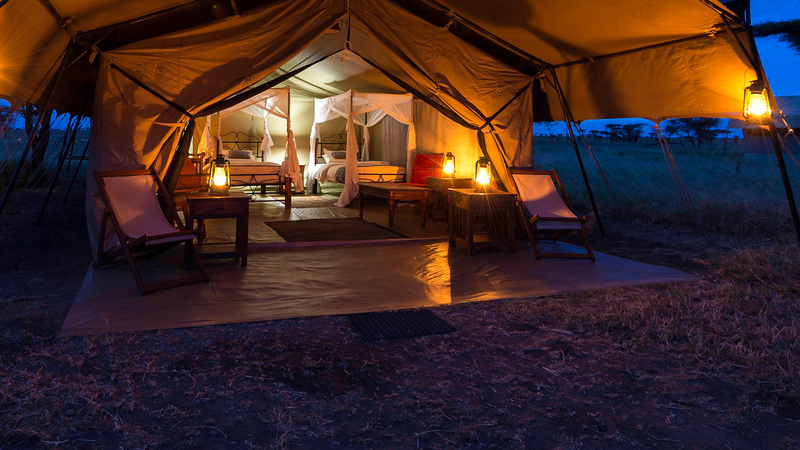 Whether a five star accommodation like Four Seasons Lodge or a Private Mobile Camp located in the heart of the Serengeti, you can be sure that you and your guest will be treated like royalty. 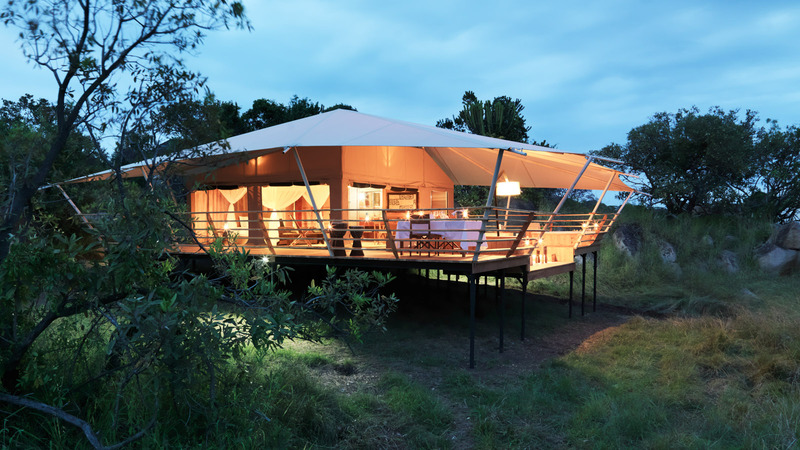 “The Private Mobile Camp in the Serengeti was the showstopper! A private Tent (as big as our Family Room) so clean you could eat off the floor. A separate Dining Tent. Superb food (including the popcorn at the Fire Pit and Trout for lunch). A staff of five, to take care of the two of us. 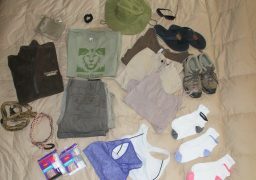 It was hard to believe we were in the bush”. 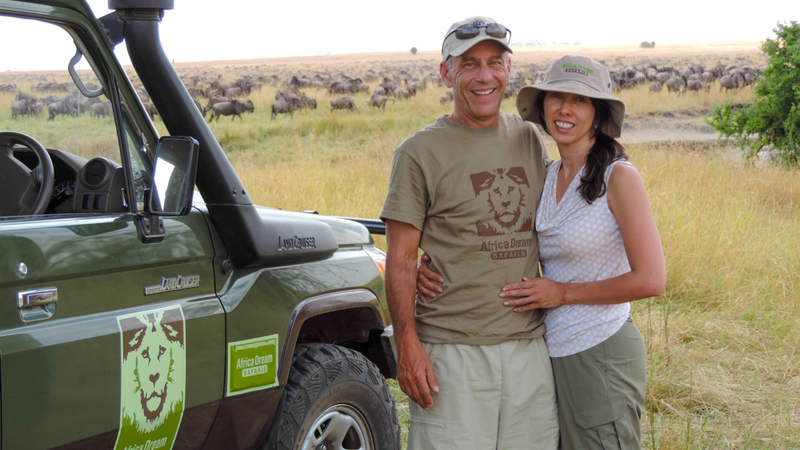 – Bill & Maryann K.
We realize that one of the most important factors for a successful private safari lies in the number and quality of wildlife encounters. 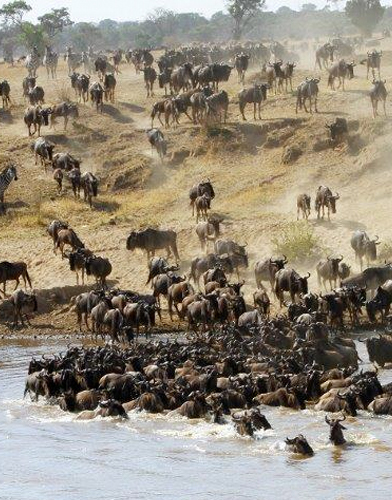 All of our safari itineraries are strategically designed on a monthly basis to take advantage of seasonal wildlife concentrations, and all safaris incorporate specific game drives to witness the Great Wildebeest Migration. 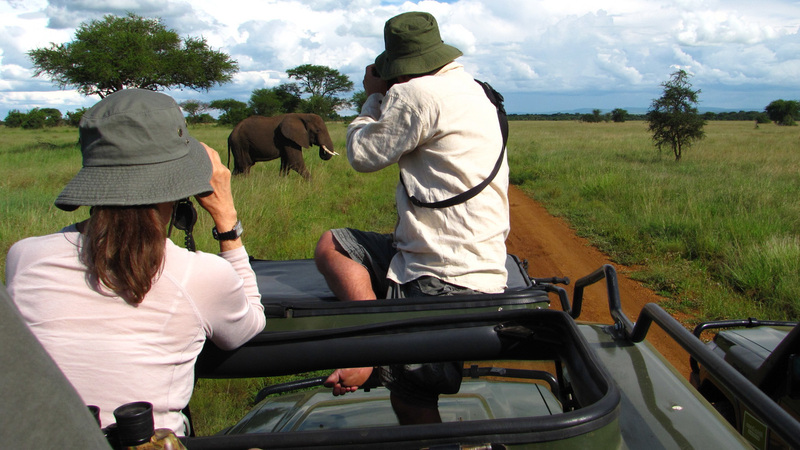 With our all day game drives, signature fly-in/drive out itineraries, special park permits, and our unparalleled experience and understanding of the animals, guests who travel with us are assured the finest wildlife viewing opportunities available. 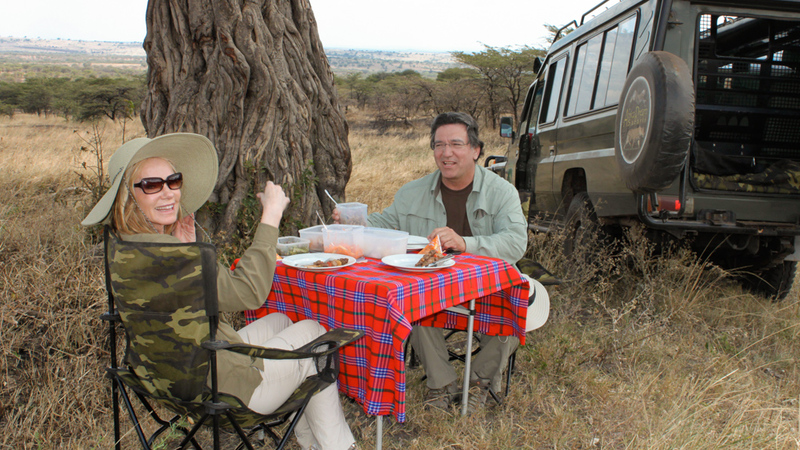 We maintain a fleet of specially outfitted 4-wheel drive Stretched Land Cruisers providing maximum flexibility, comfort, and wildlife viewing. 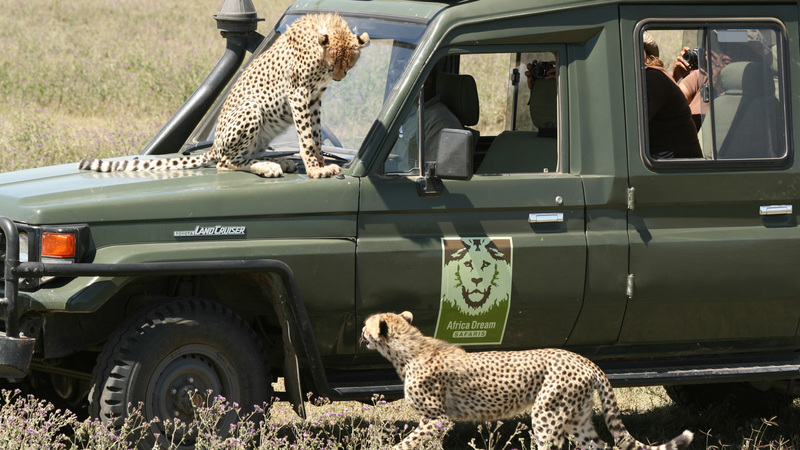 Our safari guests have exclusive use of their own vehicle with no mileage restrictions and unlimited game drives. 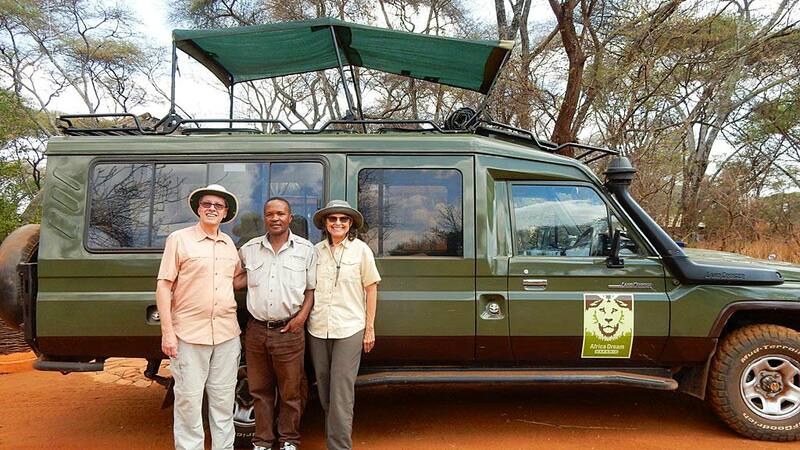 These spacious vehicles come equipped with seven seats under a canvas top that allows game viewing with the fewest imposed constraints and in the most open and raw format possible. 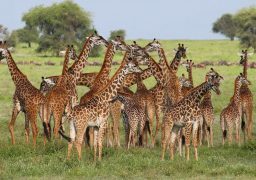 Wildlife viewing in Northern Tanzania is superb year round due to presence of large concentrations of resident animals. 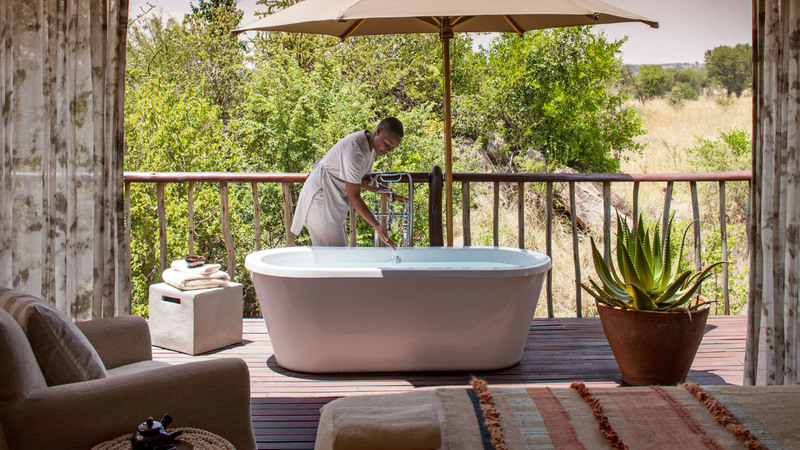 Based on individual preferences like special animal interests, lodging preferences and length of your safari, we have an open and meaningful dialogue with our guests to provide suggestions on the most optimal experience. If you are limited to a specific travel time for your anniversary or honeymoon, we can tailor your itinerary to meet your expectations and requirements regardless of the month of travel. Our interactive migration map helps prospective guests know where certain species will be most prevalent during different times of the year. 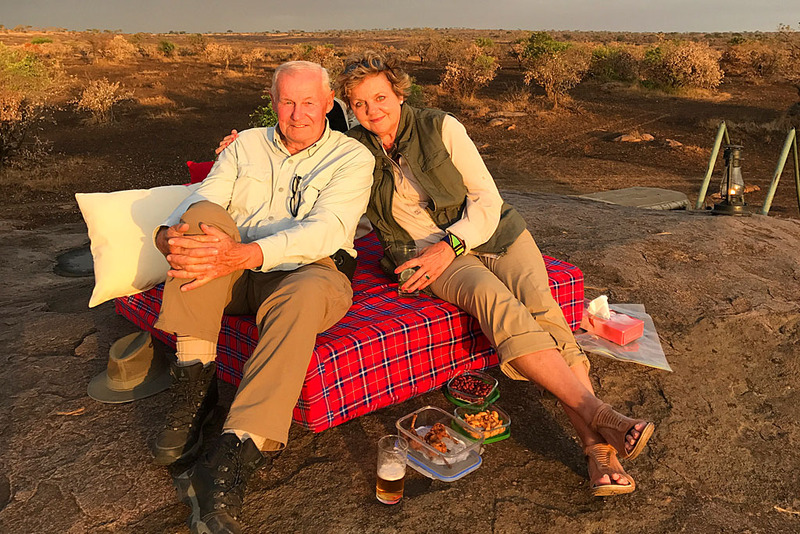 On a romantic safari for two, our guests take full advantage of our many trip enhancements including: Cultural Tours, Night Game Drives, and Balloon Safaris. These optional additions to your itinerary are sure to create memories that will last forever. Visit a traditional Maasai tribe and learn about their proud and fascinating culture. 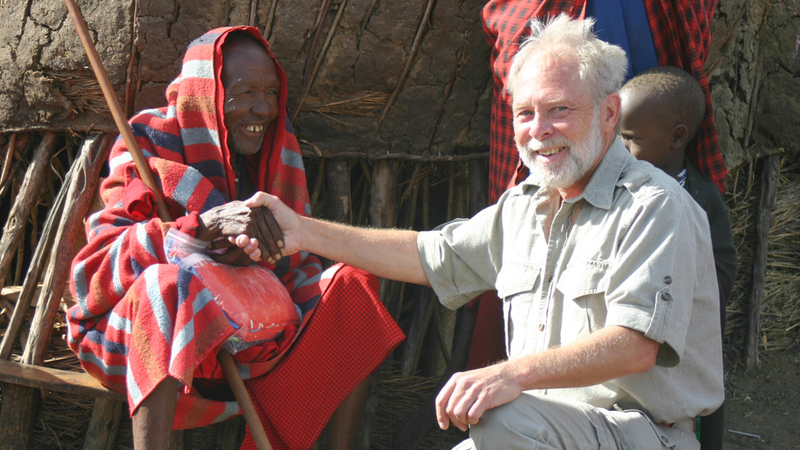 A village chief will provide a tour of the Boma and explain their beliefs and way of life. You may watch or take part in a traditional dance. 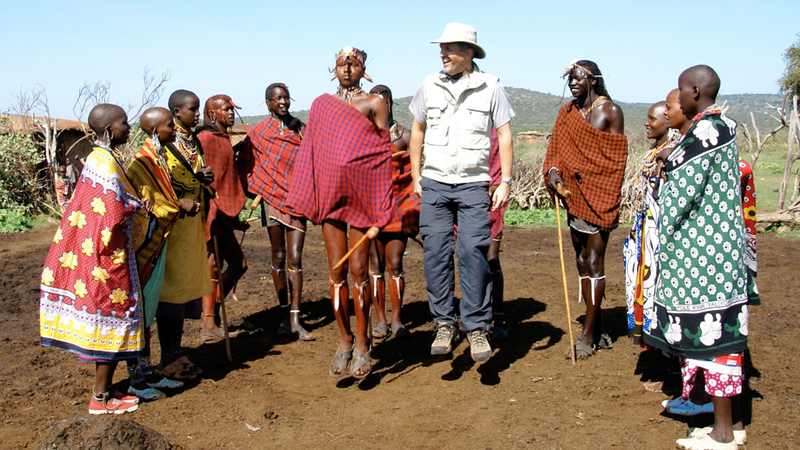 A Maasai village tour can be incorporated into any itinerary enroute from the Serengeti to Ngorongoro Crater. 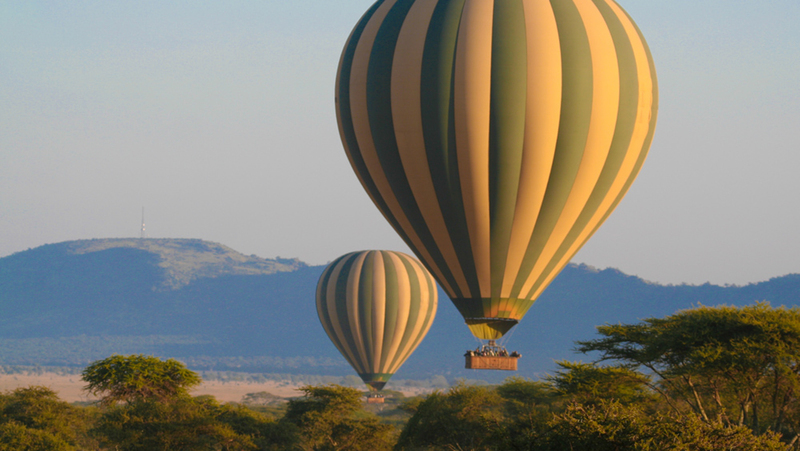 Sunrise balloon safaris can also be incorporated into your romantic getaway during any month of travel. 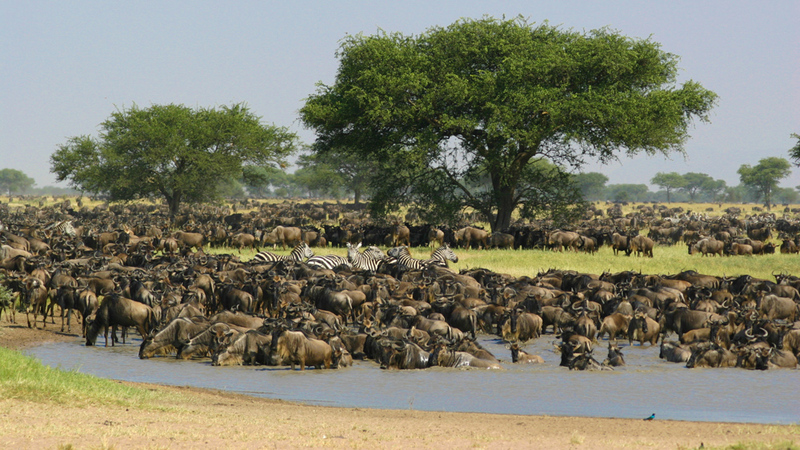 The Central Serengeti launching site offers abundant resident animal sightings and spectacular scenery. 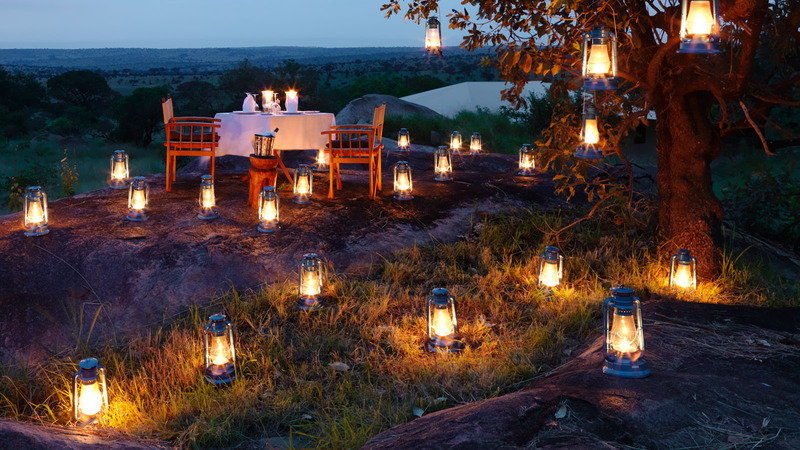 With a champagne toast and elegant bush breakfast after the magical sunrise, this moment is one for the photo books! 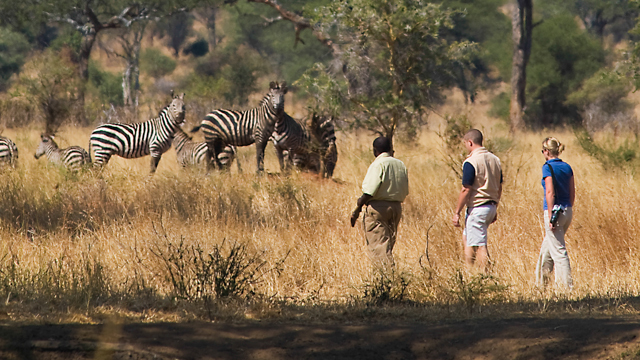 Walking safaris offer guests an opportunity to experience the unique sights, smells, and sounds of Africa unconstrained by a vehicle. 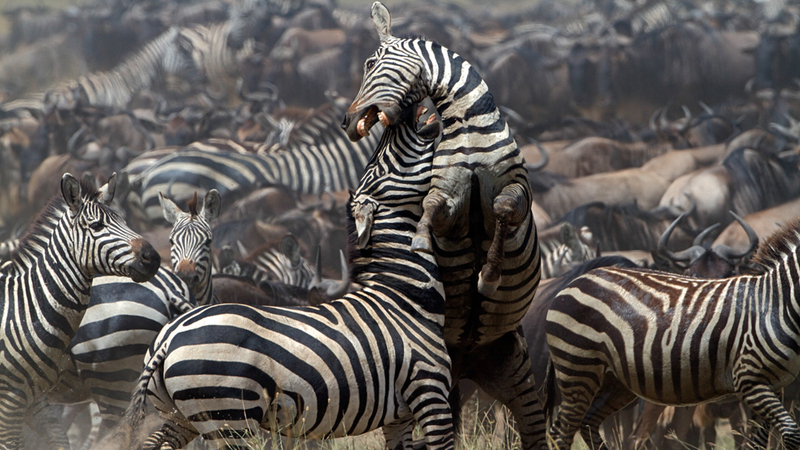 Immerse yourself into the subtle yet beautiful details of this wild place called Tanzania. Learn to recognize different animal footprints. See and touch the different plants that form the bottom level of an immense food chain. Watch curiously as a dung beetle recycles waste from the plains or take a minute to watch a butterfly or hummingbird move from flower to flower. 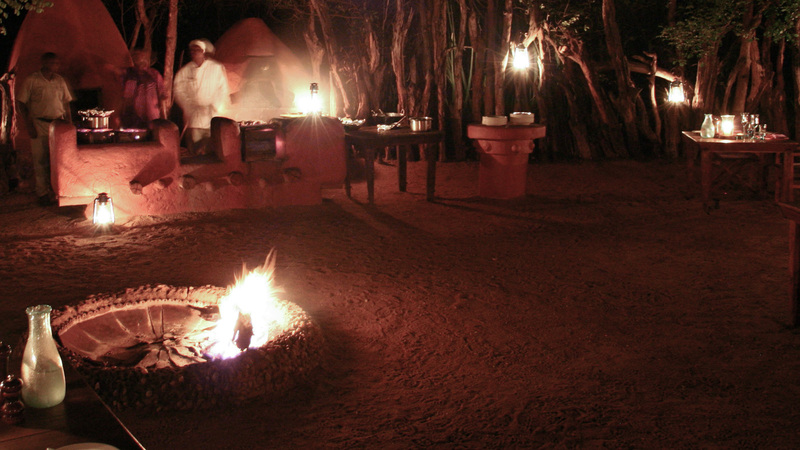 Guests who opt for a walking safari learn about ancient medicinal plants that have been used for thousands of years to cure various ailments. On foot you can really take notice of the little things that are passed quickly by while driving. 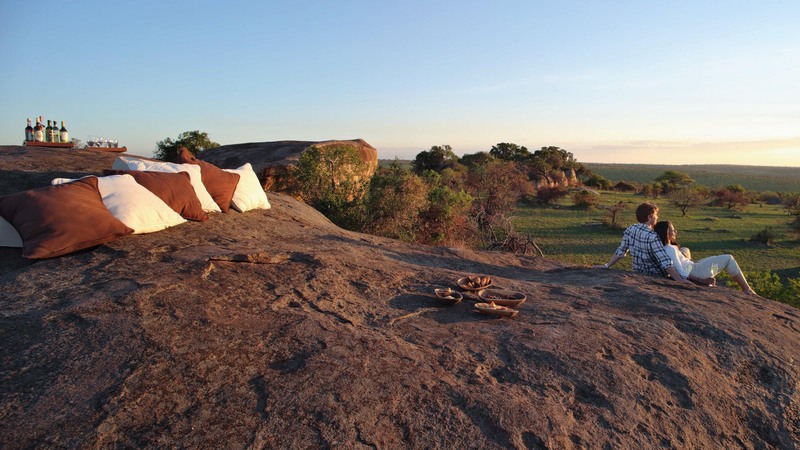 Walking in the bush could prove to be one of the highlights of your safari as you track animal footprints, game view on foot, and learn about ecology and culture from your Maasai Warrior or Park Ranger Guide. 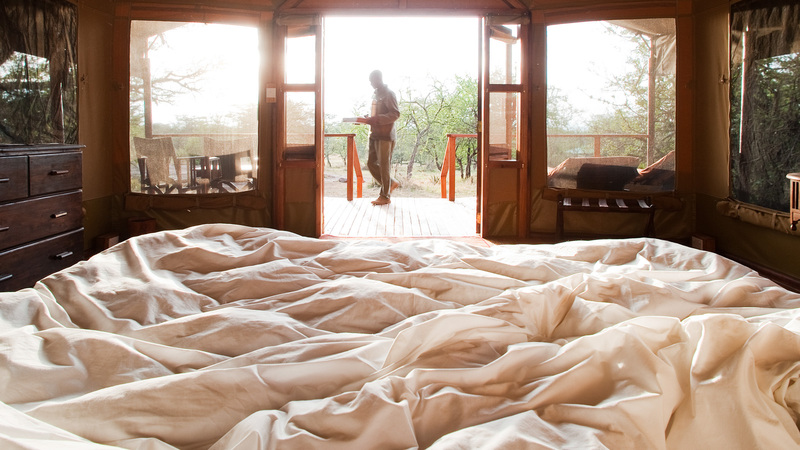 ‘Sunrise Safaris’ are known to be another staple of Africa Dream Safaris and a favorite amongst couples. 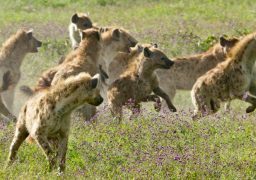 We offer early morning (before sunrise) game drives to witness the predators in action and also the herbivores in more active states. 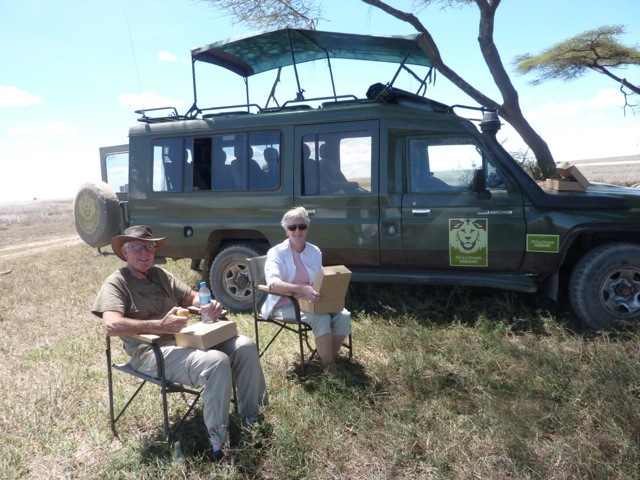 We’ll pack a picnic breakfast to enjoy in the pristine ambience of the bush while the package tours are having their ‘buffet’ meals back at the lodge. 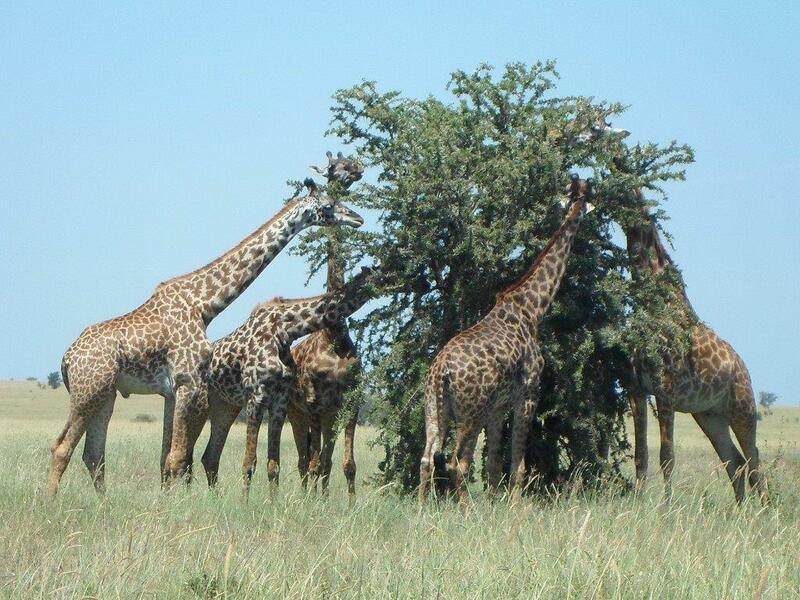 Previous PostPrevious Post Christmas In The Serengeti!